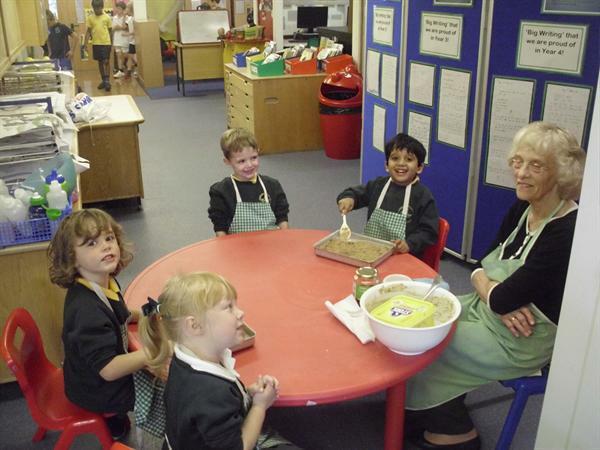 Today we had our first baking lesson with Betty. We made yummy, sticky flapjack! I wonder what it will be next week?